Today was the start of wind chills in the negative digits. It doesn’t matter if it feels like -10 or -30. Cold is cold, which is why I stayed home today. 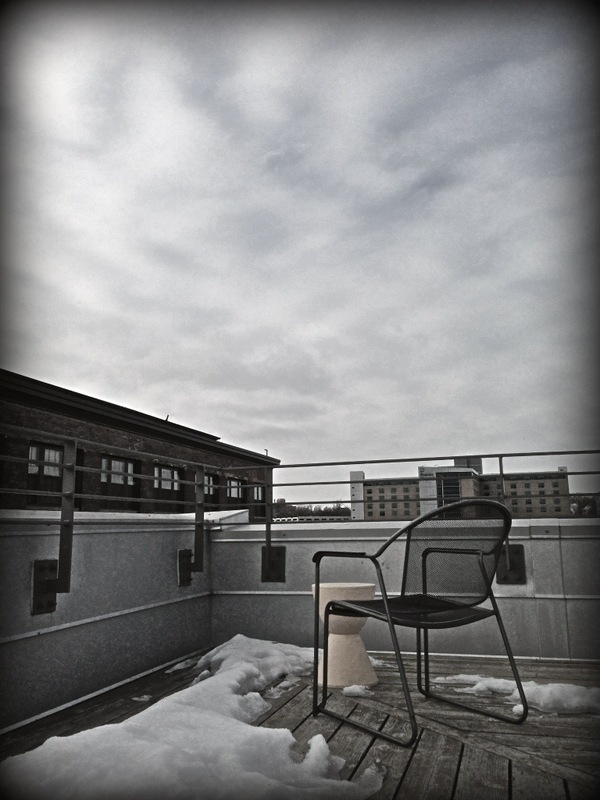 This chair is perched on our rooftop deck, obviously waiting for warmer weather. Day 20 of Photo 365. This entry was posted in Photography and tagged Minnesota, Photo 365, Winter. Bookmark the permalink. Hi! I’ve been following your weblog for some time now and finally got the bravery to go ahead and give you a shout out from Lubbock Texas! Just wanted to tell you keep up the good job! Ha! Yes, usually. I love all four seasons. I just don’t like it when it hurts to breathe. The good news is my house is so clean now since I was home all day!